Non-surgical gum disease treatment & preventive dentistry in Bridgewater NJ! Most tooth loss is the result of infected gums, not decay. You may or may not have symptoms. Signs of infected gums are red, painful gums and bleeding from brushing and flossing. If treatment starts before the infection has advanced, there are easy, nonsurgical methods to arrest the issue. Otherwise, surgery may be the only option. Research has demonstrated that gum disease plays a role in the development of potentially fatal diseases such as stroke, diabetes, and heart disease. Dentists now consider gum disease a much worse condition than tooth loss - you can also lose your life. Eight out of ten Americans have some level of infected gums, as estimated by the American Dental Association. This is at an epidemic level, and if it were any other type of life-threatening disease, it would receive more attention from the general public. The bacteria infecting the gums flow through the bloodstream, impacting other vital organs. The American Academy of Periodontology reports, "Studies found periodontal infection may contribute to the development of heart disease, increase the risk of premature, underweight births, and pose a serious threat to people whose health is already compromised due to diabetes and respiratory diseases." Gum surgery is often the only way to arrest advanced periodontal disease, as you are progressed to the point of nearly losing teeth. In milder cases, nonsurgical methods are often very successful in reversing the problems. Together with good daily hygiene, the infection can be halted. Both methods are generally covered by insurance. Losing even one tooth can force other teeth to shift, move, and even loosen. It also affects the ability to chew and obtain nutrients from food. If too many teeth are missing, you may favor softer foods that are less nutritious; often these types of foods lead to unwanted weight gain. Without the support of a full set of dentures, your face may give you a sunken, aged appearance. Speech can be affected too, resulting in social embarrassment. The best option is to replace lost teeth using dental implants for as many teeth as you have missing. They look totally natural and function like regular teeth. Even dentists have a hard time telling whether they are original teeth. More teeth are lost due to gum disease than either tooth decay or trauma. Our doctors use a potent antibiotic called ARESTIN™ to eliminate bacteria. It is time-released and applied directly to any infected pockets between the teeth and gums. The powder works through the use of invisible microspheres to combat the disease without any discomfort and succeeds in killing all the bacteria so your gums may return to a state of health. 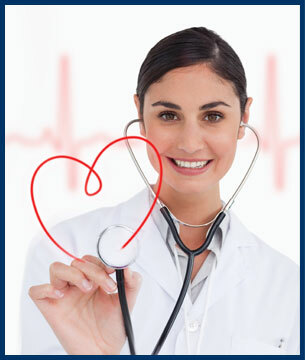 Wellness Care is a different approach to maintaining good health. Instead of waiting until you have an illness, it addresses any problems before you get to that point. We use this same idea at our practice by providing a thorough exam to identify potential dental issues. 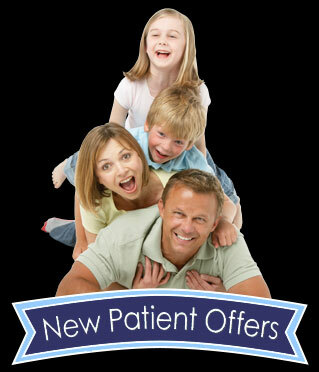 We look for oral cancer, gum disease, and signs of worn or distressed teeth. We observe your bite to see if your teeth mesh properly. We also discuss how to avoid certain problems. Many haven't had such a complete dental checkup but love our preventive approach. We want to take care of potential problems before they develop to the point of affecting your overall health. We can help halt your gum disease and bring your smile back to health. Please give us a call today at (908) 214-7686.